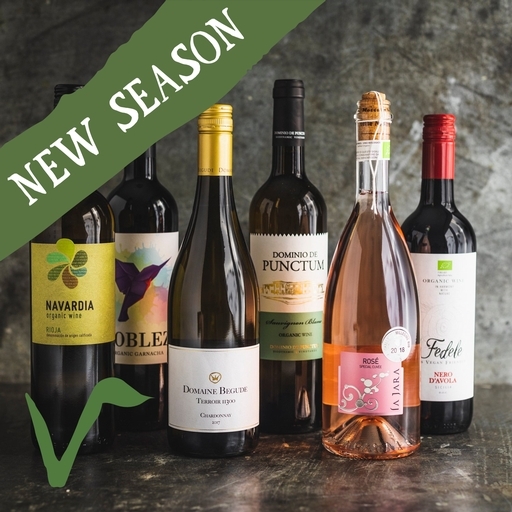 A fantastic mixed case of organic wines, carefully selected to complement the flavours of the season. Your case includes: Dominio de punctum sauvignon blanc, Rioja Navardia blanco, Garnacha Doblez, Domaine begude chardonnay, Fedele nero d’avola and La jara rosato frizzante. Domaine begude chardonnay 75cl: 100% Chardonnay, Alcohol 13.5%, sulphites 85mg/l, produced in France, Suitable for vegans.